William C. Fay, IV, is a partner at Proetta & Oliver. 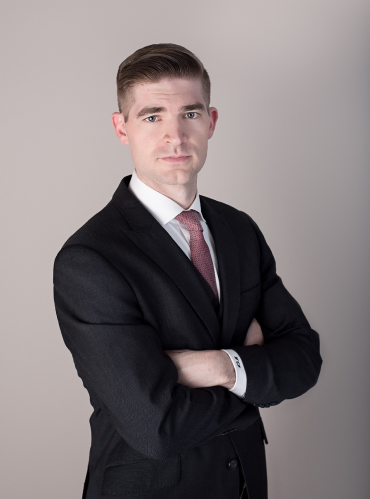 Prior to joining the firm, Mr. Fay spent his career as a Deputy Attorney General with the New Jersey Office of the Attorney General. In his capacity as a DAG, Mr. Fay prosecuted countless cases from the initial investigation up to trial. His extensive experience has provided him with a distinct reputation as a zealous advocate and tough litigator. Mr. Fay attended Lehigh University where he graduated with honors and he later obtained his J.D. from Rutgers School of Law. While at Rutgers, Mr. Fay was the Associate Editor of the Business Law Review and various other benevolent and charitable organizations. Contact Mr. Fay for more information on how his experience can be used for your benefit.